In a report launched in parliament last week, a national disability charity said NHS England’s sight testing and funding system is letting down the one million people with learning disabilities in England. SeeAbility and leading eye health organisation the Local Optical Committee Support Unit (LOCSU) are calling for an urgent overhaul of the system as there are huge levels of sight problems amongst people with learning disabilities and people are currently missing out on the eye care they need. Some are even tragically losing their sight. 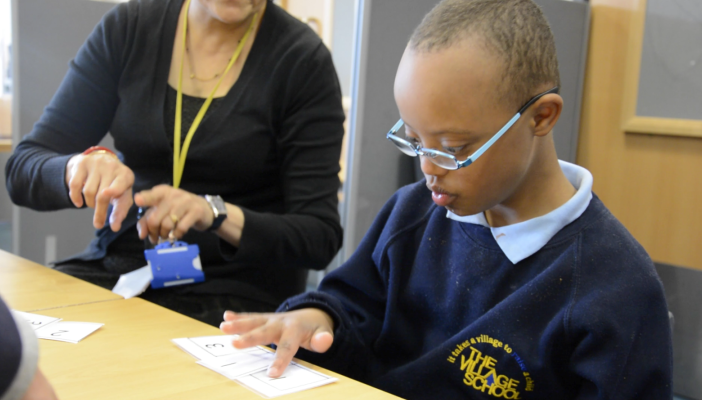 Children with learning disabilities are 28 times more likely to have a serious sight problem than other children. “The system needs to be designed around the needs of people with learning disabilities, rather than putting barriers in their way. It makes much more sense for people to be supported to get low cost early eye care rather than end up losing their independence and relying on high cost care and support because their vision is impaired,” says Lord Holmes of Richmond MBE, who hosted the report launch in parliament. People with learning disabilities, their families and supporters are being asked to sign a petition calling on NHS England to deliver a more inclusive system and offer free sight tests for all working age people with learning disabilities. Sight tests not only help people get the glasses they need, they can identify serious sight threatening conditions like cataracts and glaucoma. There is currently no NHS plan for eye care and little mention of the high risk of sight problems or the need for checks in new national learning disability strategies. The current NHS contract for sight tests fails to recognise that people are likely to need additional time or appointments to complete a sight test, as well as better support with glasses. Those of working age may not be eligible for NHS funded sight tests, unlike other high risk groups which are, such as those with a family history of glaucoma.